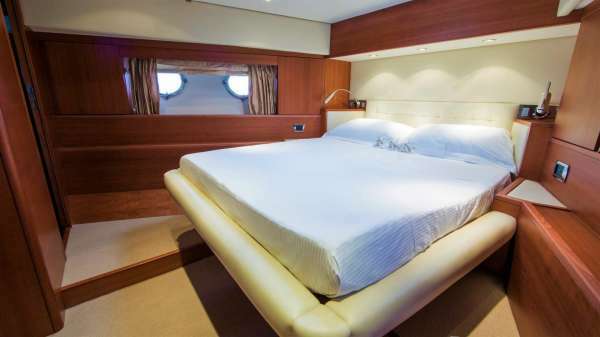 Accommodations: Accommodates 8-10-12* guests in 4 cabins, with en suite facilities & Hydro-Jet shower units. 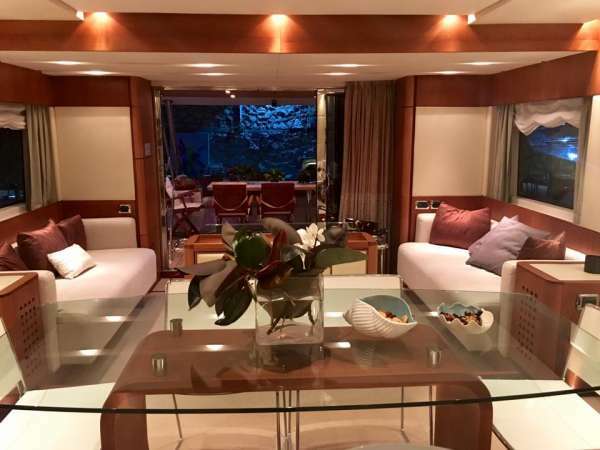 ▪▪ MASTER Cabin: Your impressive, luxurious yet very modern and airy full beam MASTER suite is illuminated by two stylish rounded windows (both opening), offering stunning sea views. 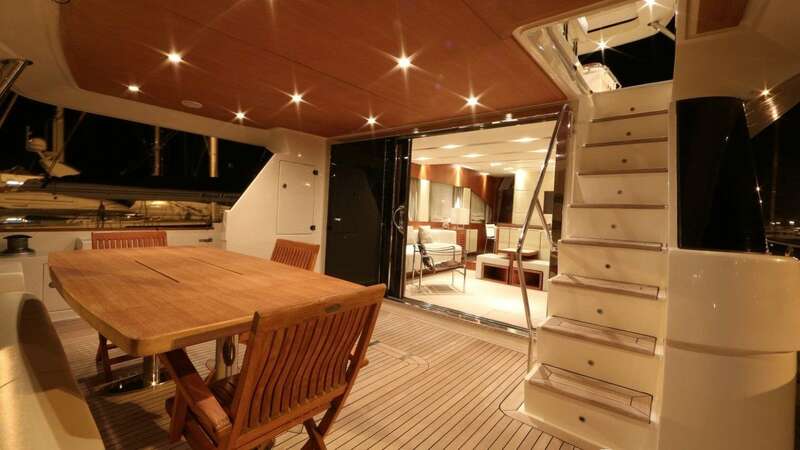 It also features a walk in closet, a dinette, safe box & ample storage space. Your large ensuite bathroom, which becomes part of the suite, is cleverly separated in three different units. 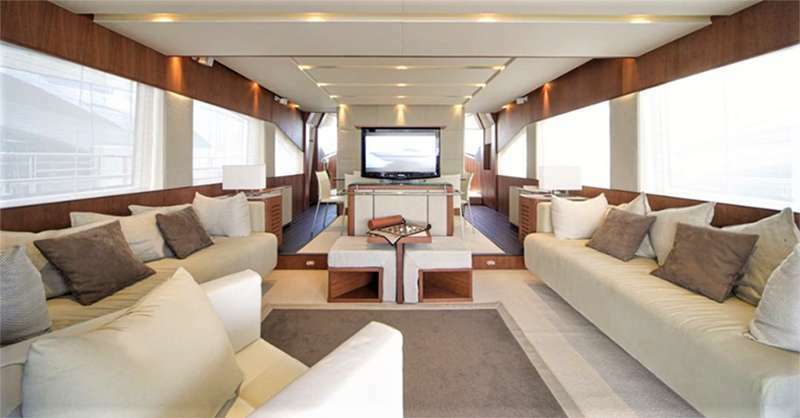 ▪▪ VIP Cabin: To the bow is your VIP cabin, with four side windows, a hatch & a spacious closet. 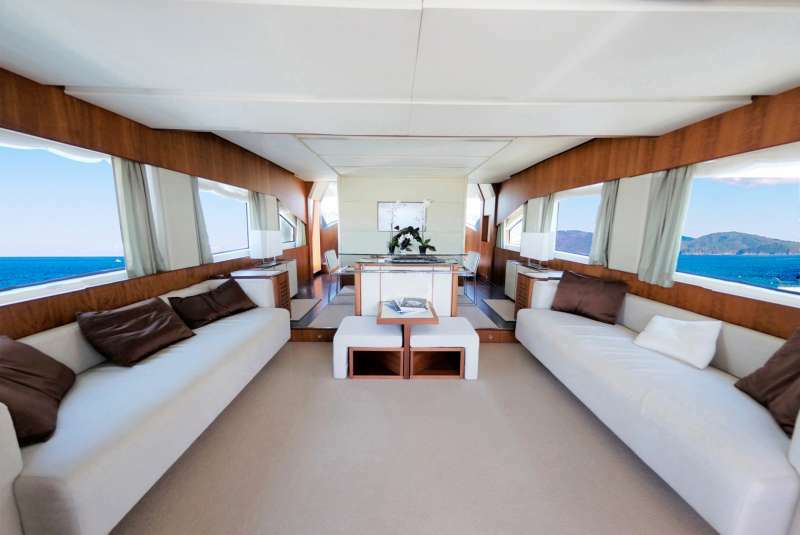 ▪▪ TWIN Cabins: On the two sides of the spacious corridor you will find the two symmetrical identical TWIN cabins. 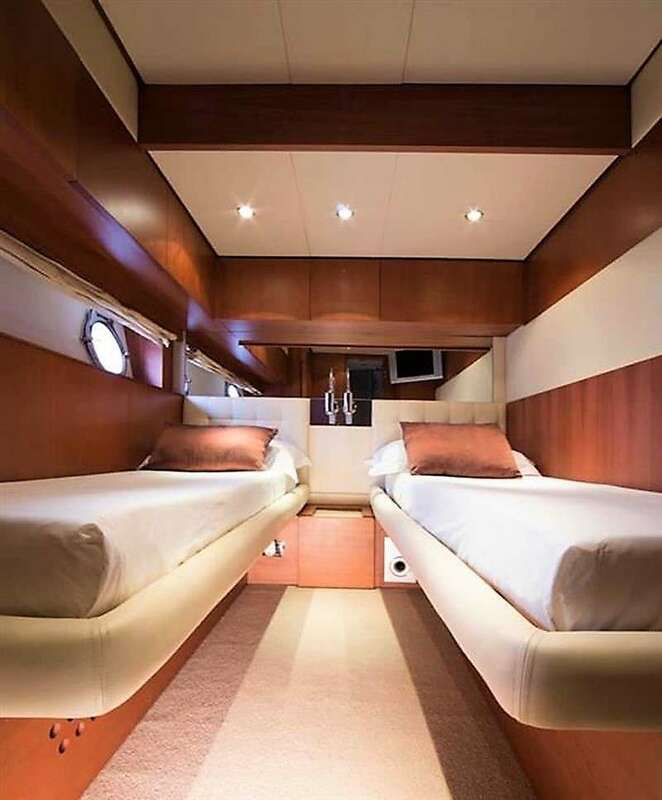 Both can be converted to Doubles with one KING bed each (1.86m width) which can accommodate up to 3 guests, if kids.